This page explains how to connect a XBox One Controller to Robotino via Bluetooth. 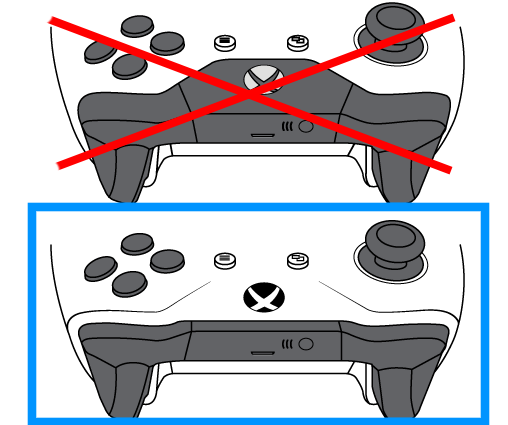 Your controller must look like the controller marked with the blue rectangle. Only these devices support bluetooth. After editing /etc/sysfs.conf reboot Robotino. Power on your XBox controller. Press your XBox controller's connect button for 3 seconds. 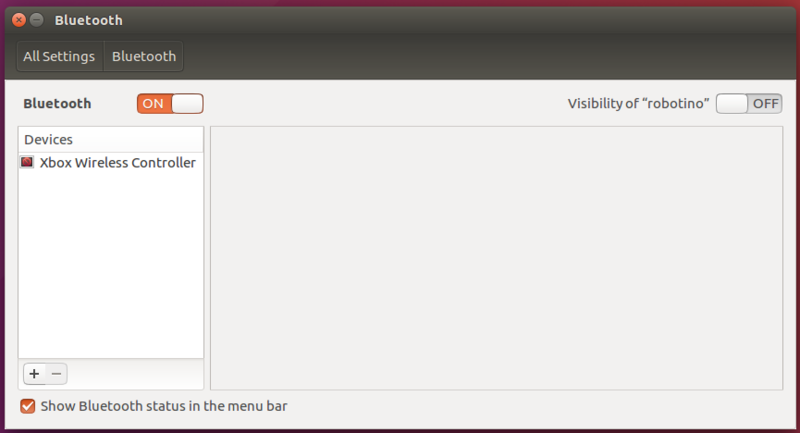 Click the bluetooth symbol in the upper right corner of the Ubuntu desktop and select bluetooth settings. Add a new device by clicking the "+" button. Select your xbox controller. After reboot or when your XBox controller powered off you have to establish the bluetooth connection again. Power on your XBox Controller. Press your XBox controller's connect button for 3 seconds. It takes about 60s for the XBox Controller to reconnect to Robotino again. Be patient. This page was last edited on 27 March 2019, at 12:06.